You can view the message archive either with or without message threading enabled. 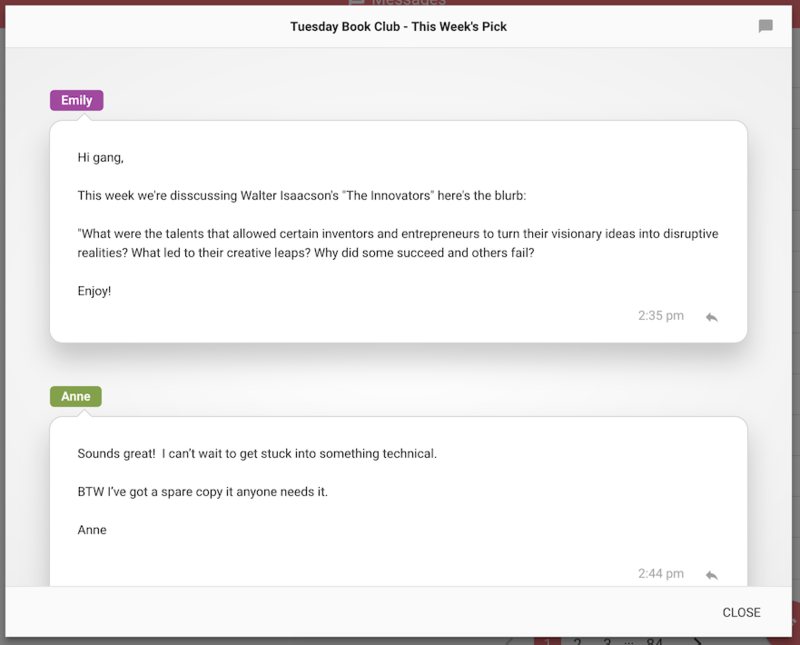 With conversation view, all messages on a particular thread will be gathered together and shown as a single line. Also with conversation view enabled when you click on a thread of messages you can also choose to see them in a chat-like view. This shows all messages stacked in the order they were received like a message chat. Both Conversation view and Chat view settings can be accessed from the setting cog above the messages list.